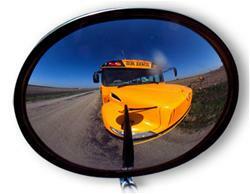 RMK Distributors Inc. is the Northeast's leading distributor of school bus parts, school bus mirrors and mechanic supplies. Our extensive line of bus accessories and truck accessories includes bus mirrors, truck mirrors, mirror brackets, bus bulbs, bus wiper blades, truck wiper blades, bus lenses and other bus parts and truck parts. Our mirror selection includes hawk-eye mirrors, bus boy mirrors, West Coast mirrors as well as all mirror mounts and mirror brackets. All are available at the best prices anywhere. Feel free to browse our Bus Accessories and Truck Accessories to view our complete online inventory. If you do not find the school bus mirrors or other bus parts online, please call to speak with one of our customer service experts. for more information and price quotes! With excellent service and competitive pricing, you won't find a better deal around for all your school bus parts. RMK is a Grote product distributor, Mirror Lite parts distributor, and Rosco parts distributor and also features products from Truck Lite, Selectro and more. Our mission is to exceed the expectations of our customers, to inspire and reward our employees, and to provide superior results to our clients.